September 2018 was declared as Nutrition Month or #PoshanMaah by the Government of India, which was also celebrated by the KHUSHI project in Bhilwara and Chittorgarh. A total of 85 events were organised. 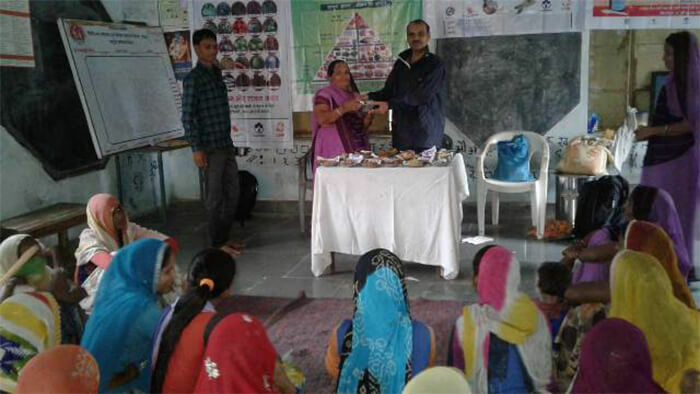 Activities like recipe demonstration, awareness meetings and quiz competition were organised to create awareness amongst the community about nutritious food and ways to prepare nutritious food. Kitchen gardens established at Anganwadi Centres (AWCs) and household level to promote diet diversity were showcased. Nearly 5000 beneficiaries were reached through various events. The #PoshanMaah event was also attended by senior ICDS officials and District Health officials.